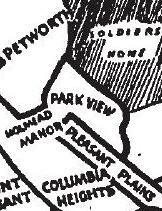 Rock Creek Church Rd | Park View, D.C.
Have You Noticed the Bike Lanes on Rock Creek Church Road? I’ve been meaning to post about the bike lanes on Rock Creek Church Road for a while now. 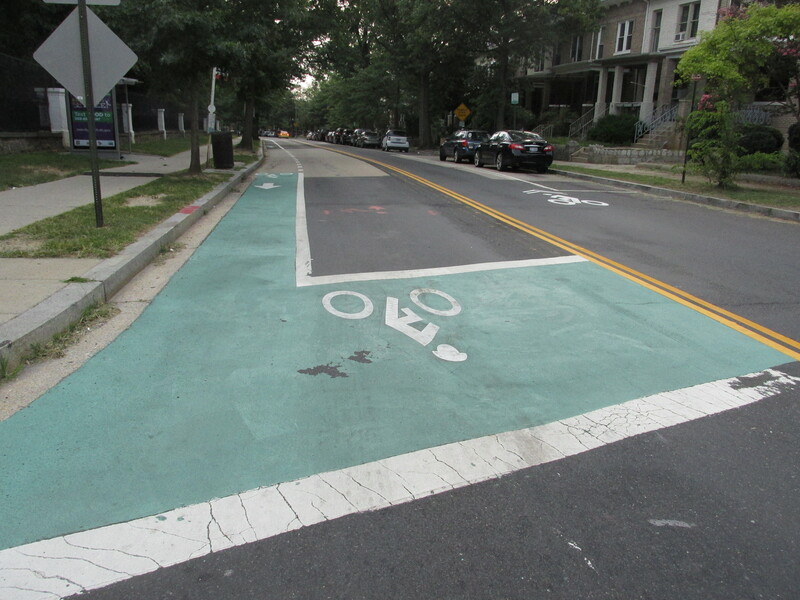 Around July 8th, DDOT began installing a dedicated northbound bike lane and a shared southbound bike lane on Rock Creek Church Road between Upshur Street at the north end and 5th Street/Park Place on the south end. One of the purposes of the lane is to reduce the vehicle travel lanes in this section of the road to encourage drivers to travel closer to the speed limit. This section of Rock Creek Church Road has traditionally been problematic when it comes to speeding traffic. Additionally,the dedicated bike lane is for those traveling uphill. 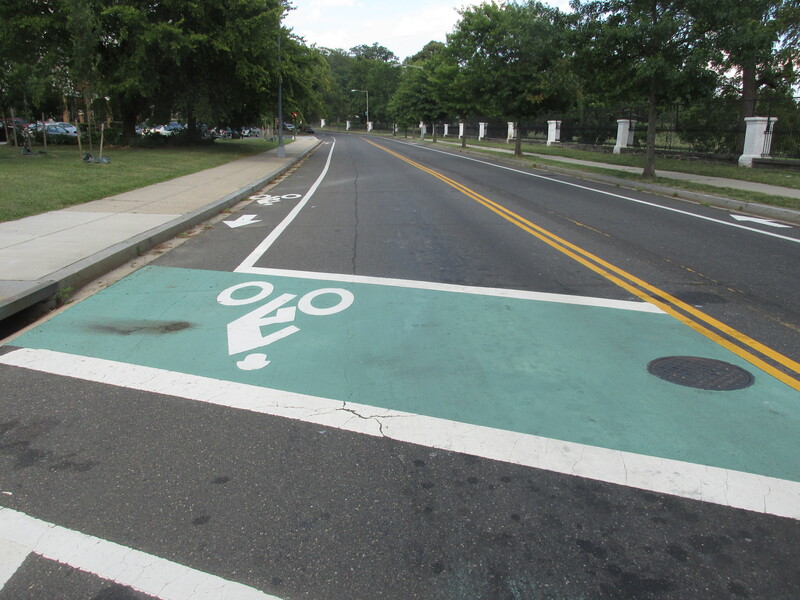 This project was part of DDOT’s bicycle infrastructure plan for several years, and actually two years behind schedule, making it a very welcome addition to the area. Below are photos of the new lanes. 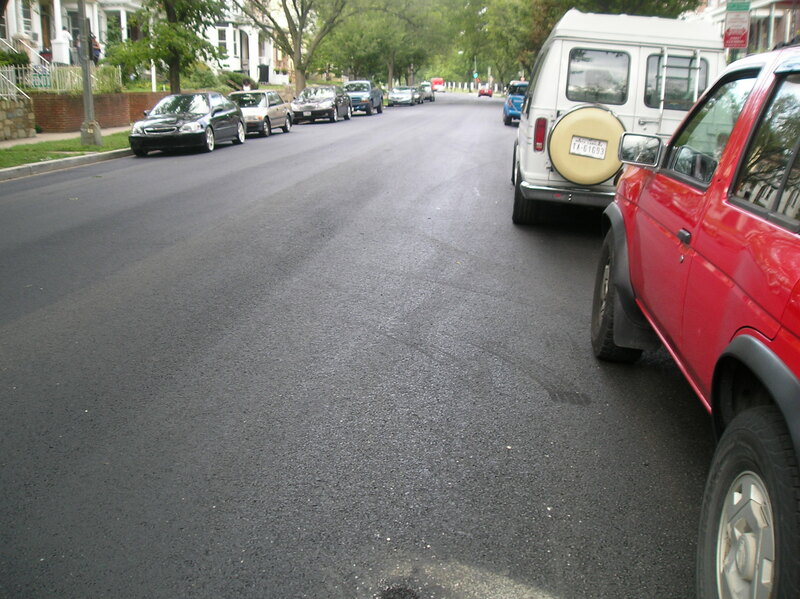 The resurfacing of Rock Creek Church Road, NW, continued last week with the 700 and 800 blocks. 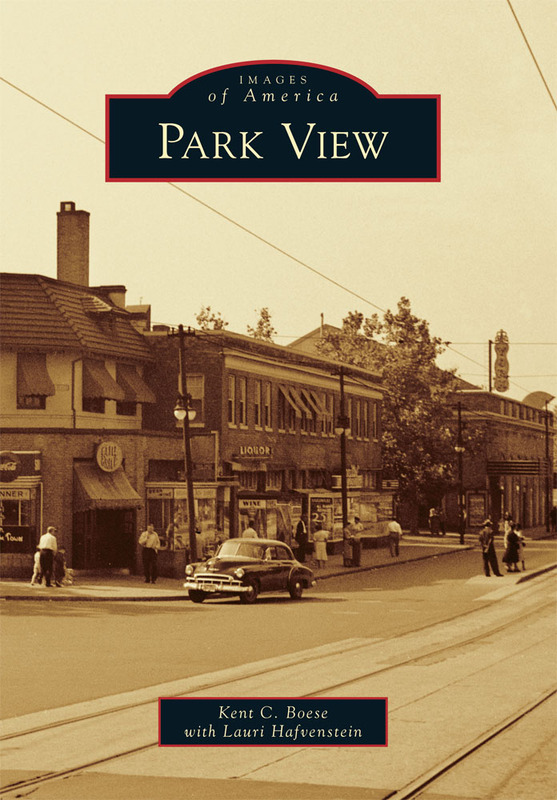 By the end of the week, the entire length of the street between Georgia Avenue and Park Place had been completed. 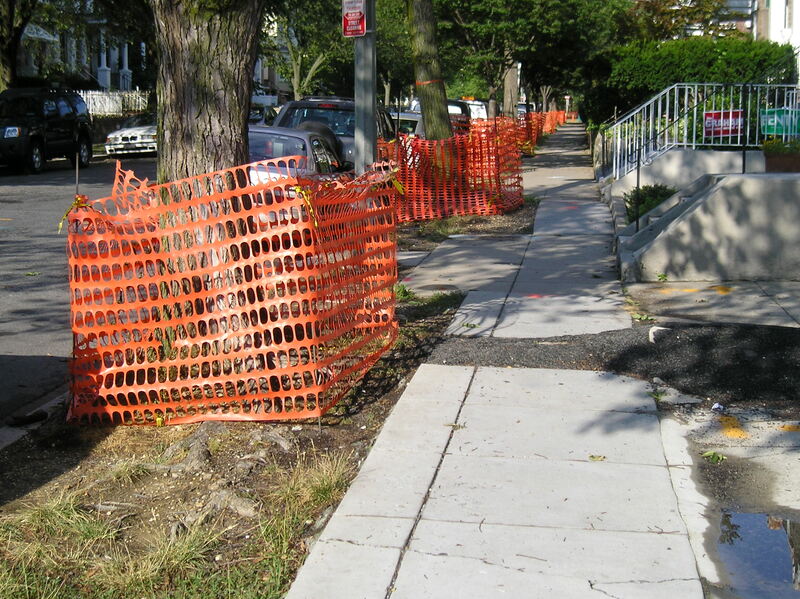 Based on the orange netting around the trees and the marks on the sidewalk along the 700 block, I’m guessing that sidewalk repair will commence this week. 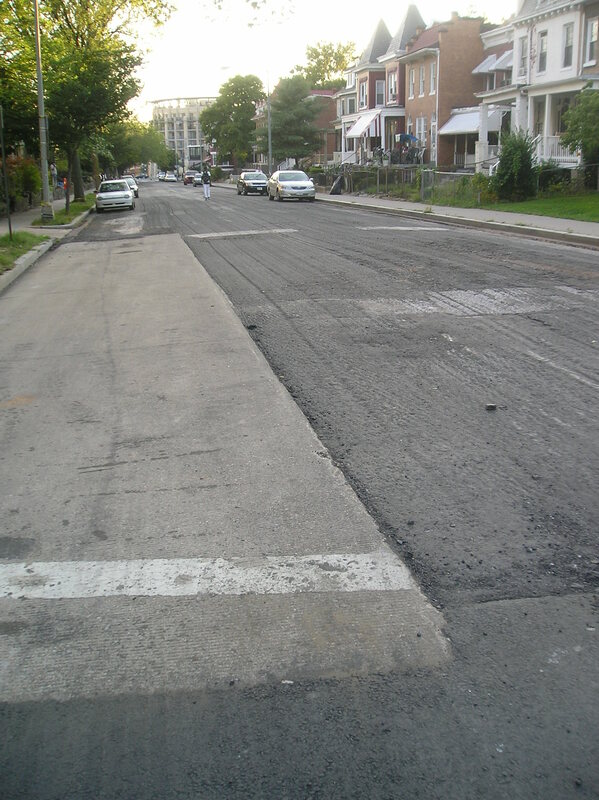 DDOT is continuing to repave Rock Creek Church Road. 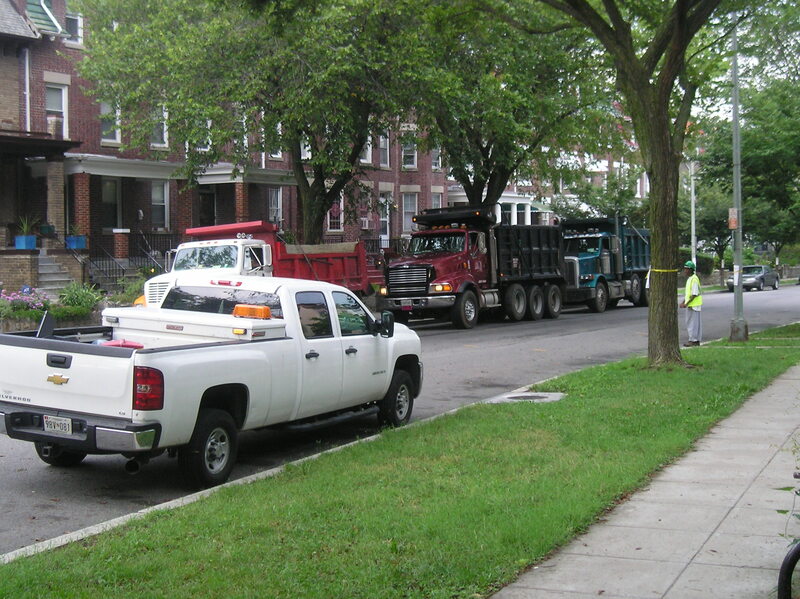 They finished the 500/600 block of the street on July 21st and moved along to the 700 block. While they started this stretch by removing the surface on Monday, I suspect that — like the 600 block — repair and replacement of bad sections of sidewalk will also be included in the effort. This seems particularly likely since the sidewalks have red arrow markings indicating the bad sections needed replacement. Rock Creek Church Rd Work Done, Looks Great! The 600 block of Rock Creek Church Road is newly paved and looking good. 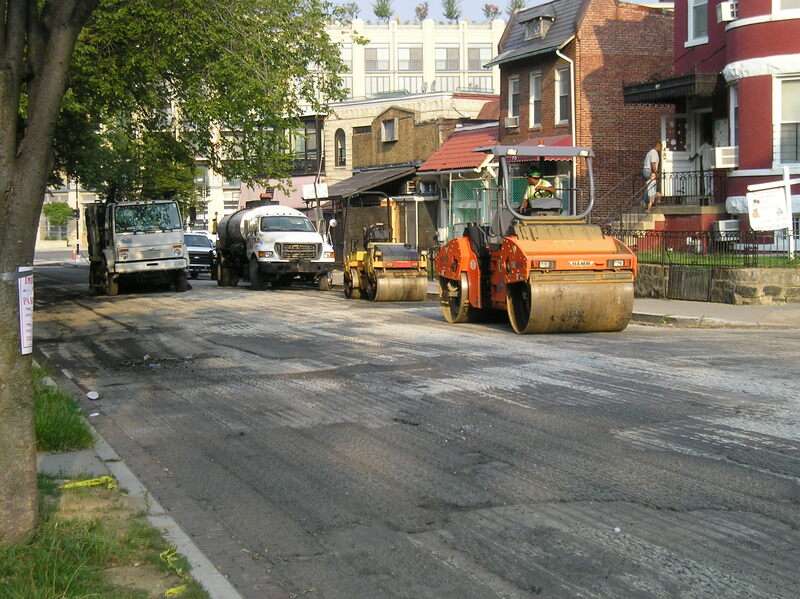 Once the crew got around to working on the street itself, it only took two days. I don’t know if this is standard or not, but this was a great crew. After a few weeks of repairing and replacing most of the sidewalks and all of the crosswalk ramps, road work is finally beginning along Rock Creek Church Road between Warder and 5th/Park Place. 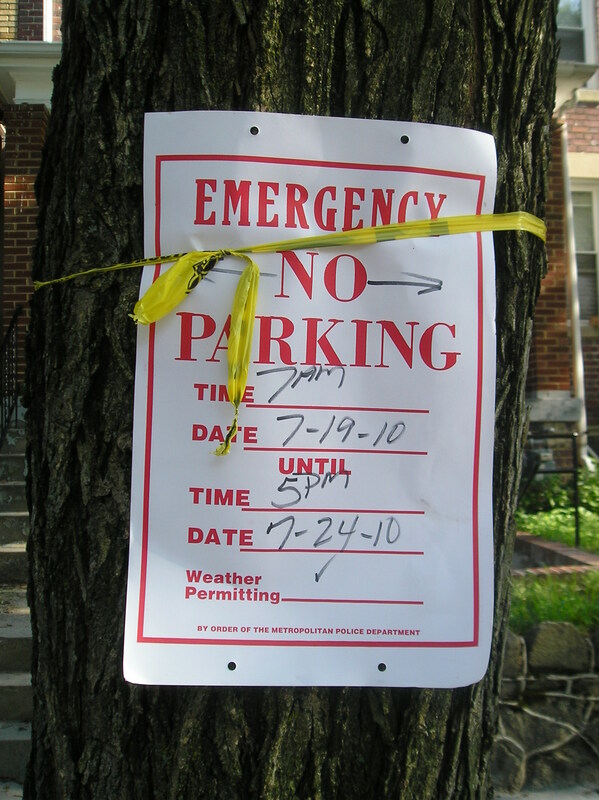 No parking along the road will be in effect through July 24th. Work started on June 28th and was estimated to take about three weeks. DDOT hasn’t been able to keep to that schedule, though it seems largely due to this summer’s heat. Thus far, the crew has been great. The work they’ve done on the sidewalks has exceeded my exceptions. 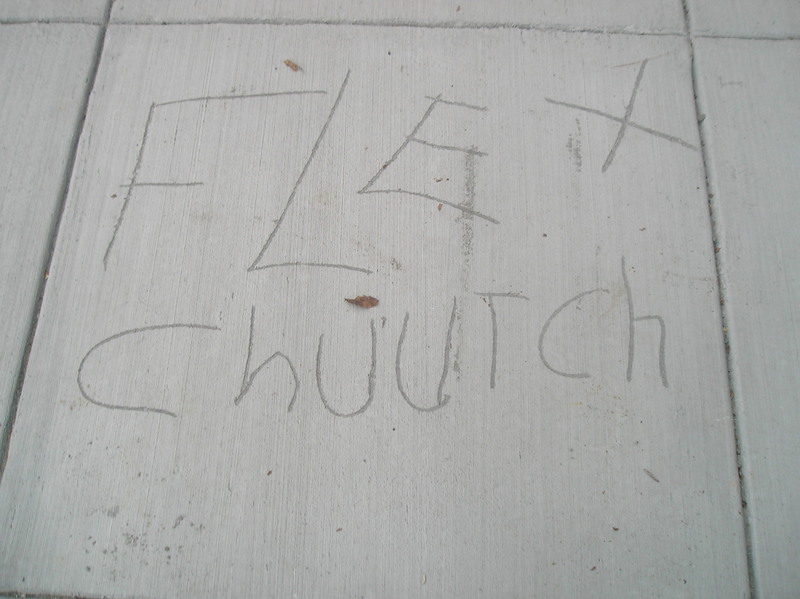 The only complaint I have has nothing to do DDOT, but rather the individual who has taken it upon themselves to inscribe “FLEX” along with other words in some sections of the concrete before it has completely set. Around 7 a.m. Monday morning, June 28, 2010, the work crew showed up to begin the reconstruction of the 500/600 block of Rock Creek Church Road, NW. 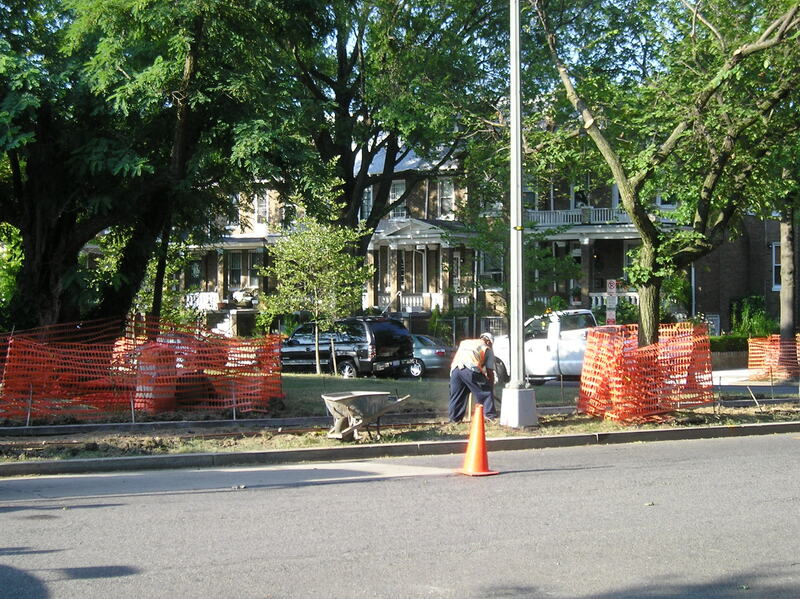 They cordoned off the trees along the south side of the street and began by removing the sidewalks on the north and east side of the reserve at Rock Creek Church and Park Place. In less than an hour, the crew had the old sidewalk removed and forms in place along the north side of the reserve. Considering the heat of the day and the intense storm that hit in the afternoon, considerable progress was made. By the end of the day the new sidewalks were in place along the north and part of the east sides of the property. The crosswalk sections had not been touched. From the notice that was distributed to residents it was clear that the roads were a major part of the project. This leads me to wonder if the crosswalk ramps need to wait until the streets have been started or if there is some other reason why they couldn’t be included in the rest of the sidewalk work. Either way, I’m sure there will be an answer in short order as work progresses. 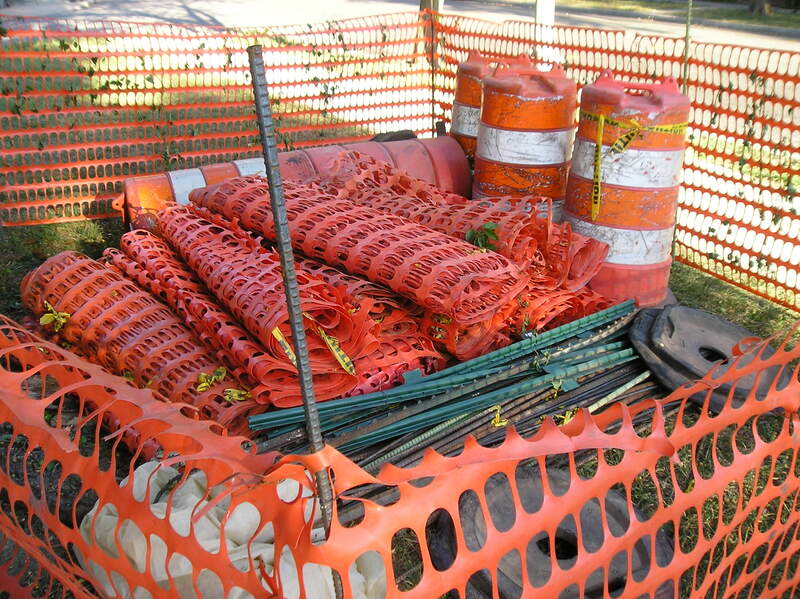 The 500 & 600 blocks of Rock Creek Church Road are scheduled to be rebuilt over the next three weeks. You can read the earlier post here. 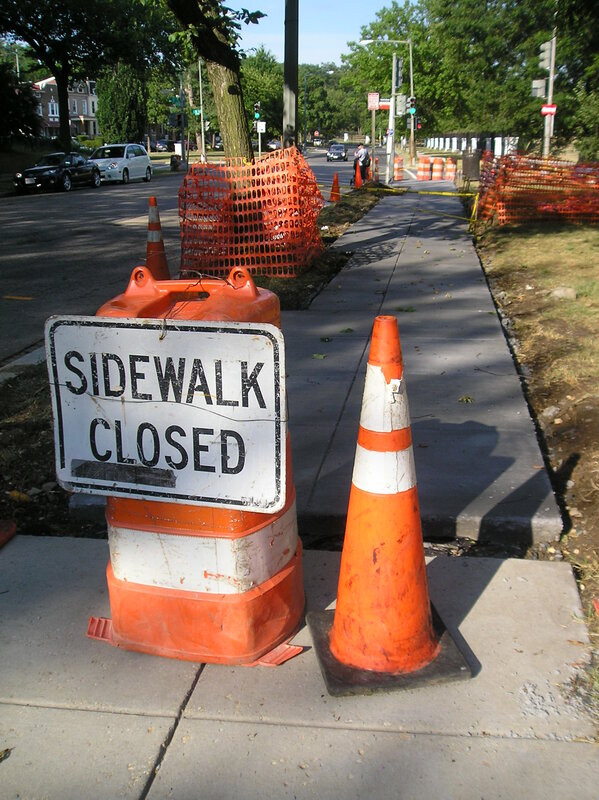 In addition to the construction, residential curbside parking will not be permitted while construction is underway. Yesterday afternoon, supplies started to arrive at Park Place and Rock Creek Church Road as you can see below.